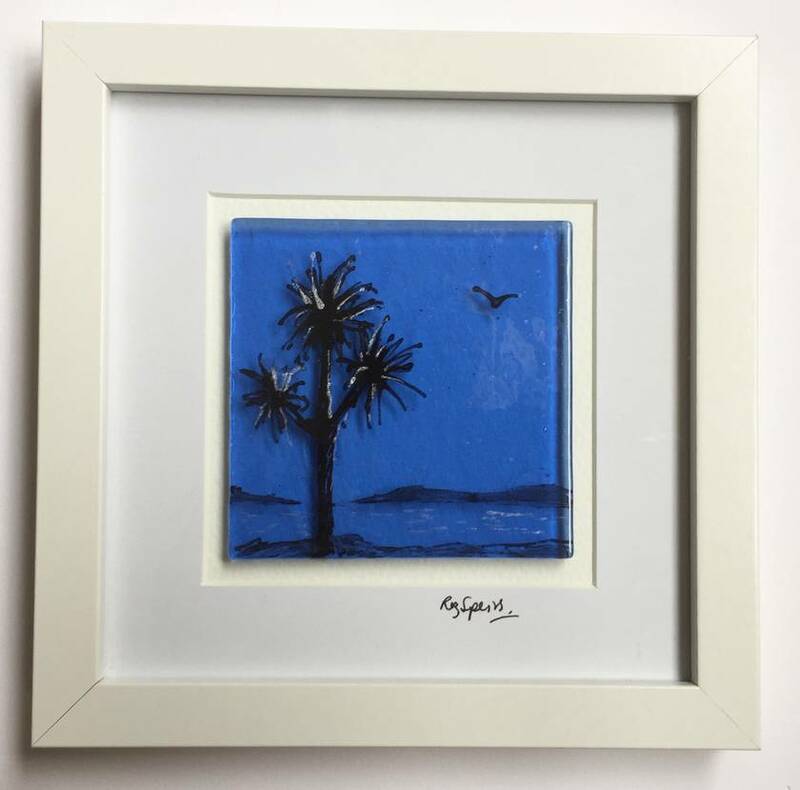 These fused glass pictures depict classic scenes from the New Zealand landscape: Toi Toi, Cabbage Tree and Kina. 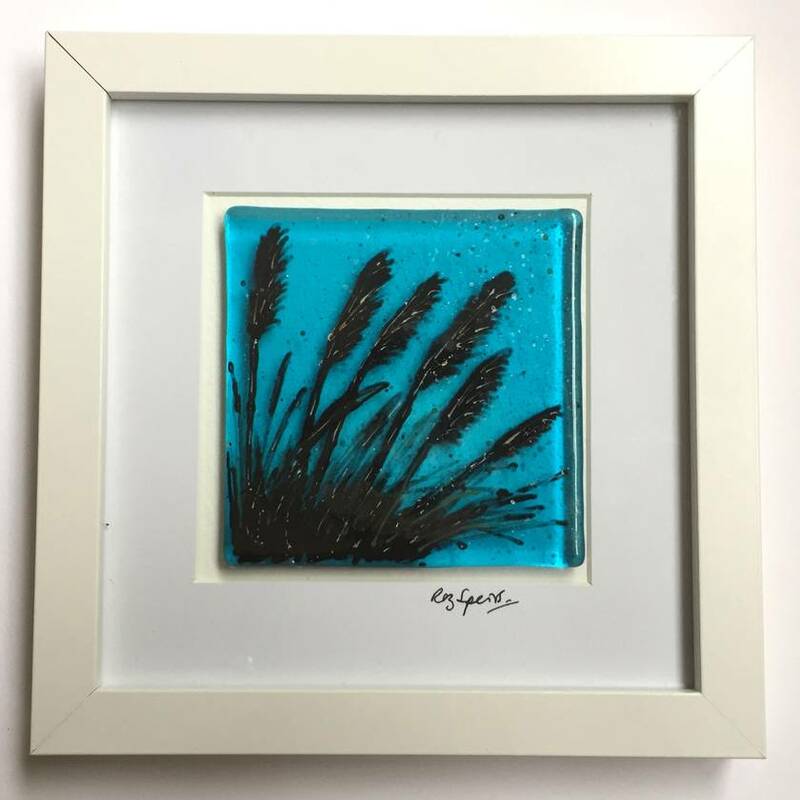 Each is hand painted using glass enamels then fused in a kiln. Different accents are added - silver or gold highlights or additional texture by adding crushed glass. Each Kiwi Classic comes in a variety of colours listed below. Please let me know during the checkout process which Kiwi Classic and colour you would like. 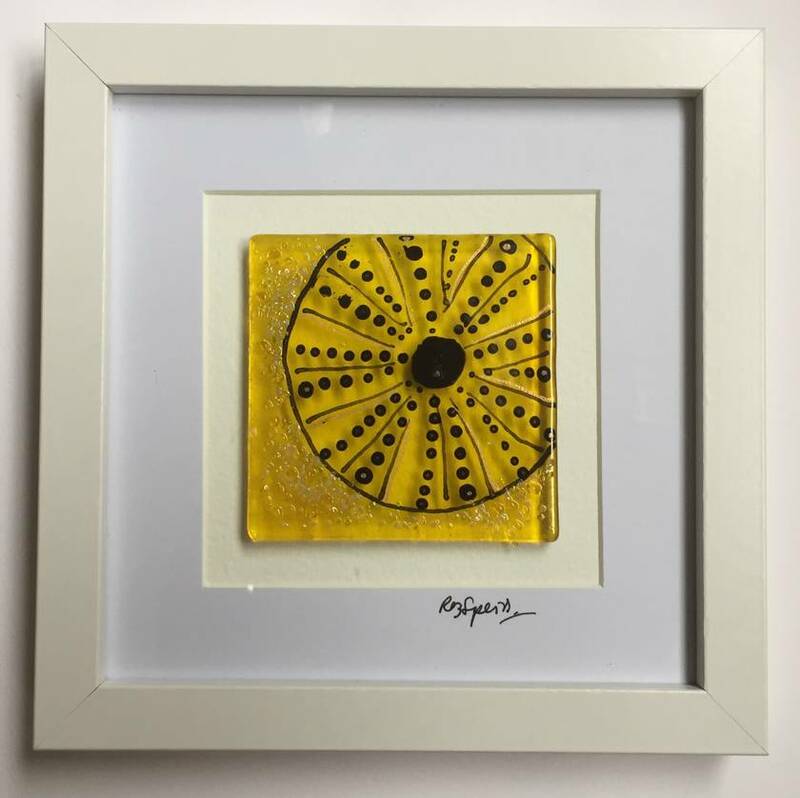 The frame can either be free standing or hung on a wall. 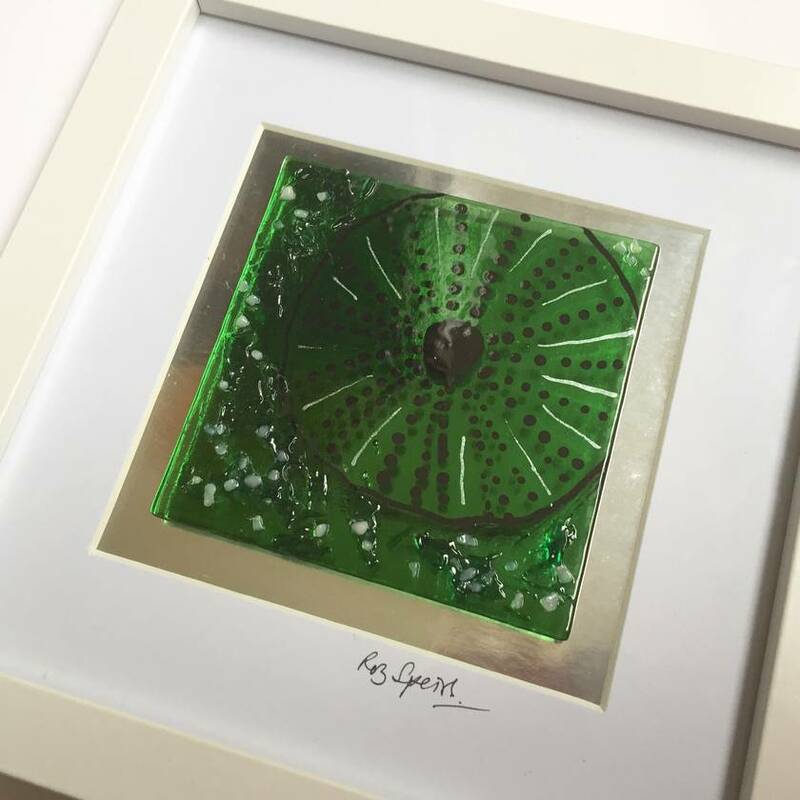 The frame is 170mm square to the widest point, and the fused glass centre measures 78mm x 78mm. They look great clustered together in a row of 3 or a square of 4. Kiwi Classics are also available with a Pohutukawa flower and larger Kina in separate listings on felt. If you would like multiple Kiwi Classics send me a message with the quantity so I can calculate a combined freight option.